Lemon Chicken Curry - 3.5 -This is their signature dish and definitely the most popular. And my rating above is for this dish alone. Do tell them to go easy on the chilly because even though I can usually hack it, this can get a stomach-burning bad! Overall quite enjoyable with some hot butter naan. Strangely not very lemony, but even better if you do add some. It is a thick curry with a home-made chicken curry meets butter chicken taste to it. 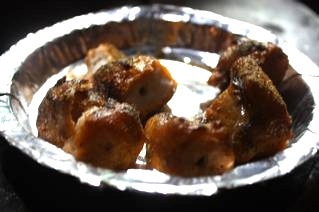 Chicken Malai Tikka - 2.7 - This was the next best thing here. Perfectly tender and moist. Next time I will tell them to go easy on the dry masala. Instead of using chaat masala they load it with garam masala and whats the fun in that! 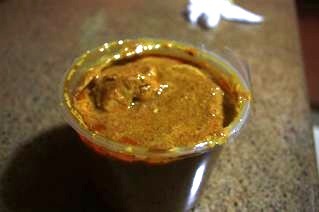 Do give your tikka a generous dung in their yummy dahi chutney. 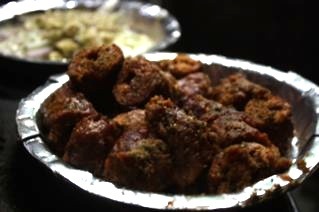 Mutton Seekh Kabab - 2.0 - Passable. Tastes quite gamey in not a good way. Also pretty much like a rubbery frozen seekh kabab. 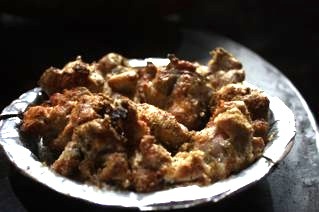 Surmai Fish Tikka - 1.0 - All I am going to say is that sometimes I'm a bit too adventurous for my own good. 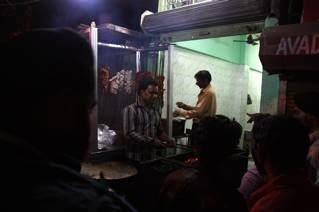 So next time you are in the area brave it and give Sohan's Chicken Corner a try. But stick to the Lemon Chicken, Malai Tikka and Naan. Eat the tikkas there while they are hot.